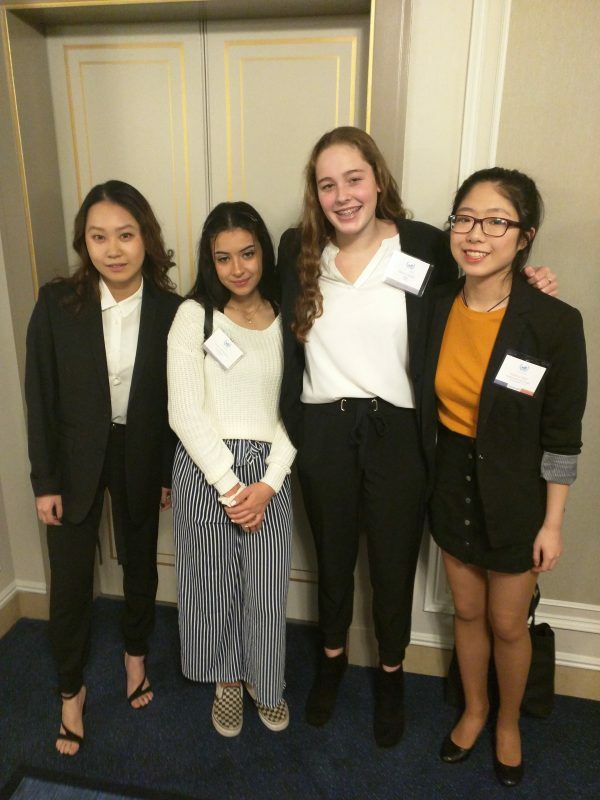 When 1,600 students from around the world gathered in Vancouver last week for the 18th Annual Vancouver Model UN Conference, there were eight SMS students in their midst. 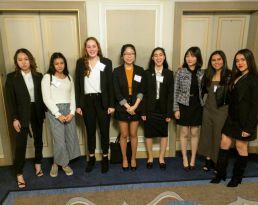 Accompanied by Ms. DaSilva, Tanya Cai, Lilian Carreon, Nina Corwin, Lennox Ding, Fernanda Jiminez, Ines Khouider, Tesnim Mtiraoui and Katrina Ngan were proud to represent St. Margaret’s at the prestigious Vancouver Model United Nations (VMUN) Conference, the largest high school student-organized Model United Nations Conference in North America. Our students were soon immersed in the thriving, fast-paced environment, working together to create practical and dynamic solutions to the world’s most pressing problems. The three-day event made for long and intense days, with sessions lasting from 7:30 a.m. until well past midnight. One night, the SMS girls were in debat000e until 3:00 a.m. (up for 21 hours straight)! VMUN is one of Canada’s premier educational simulations. Since its inception in 2002, VMUN has simulated world diplomacy, inspiring student delegates to become more aware, more educated, and more thoughtful global citizens in an increasingly complex world. This year, the keynote speaker was Richard Heinzl, the founder of Doctors Without Borders Canada, the Nobel Peace Prize-winning organization that has inspired a movement among medical professionals to help the world’s most vulnerable populations. 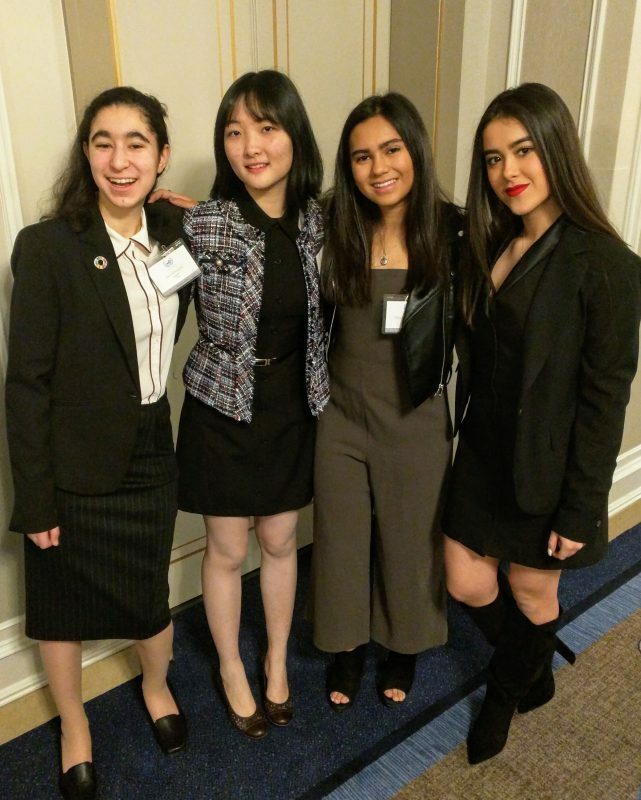 Sharing this intense learning experience with passionate students from an array of backgrounds and perspectives made this unique experience all the more special for our girls, who learned first-hand that diplomacy is not a spectator sport! Congratulations to all.